Hydraulically-formed bellows, usually made from stainless steel, are widely used as flexible couplings and hoses in vacuum systems. They are extremely useful since they allow relatively free movement of adjacent parts. However, bellows intended for "proper" vacuum use are very expensive from the likes of Lesker or Edwards. Fortunately, there are two sources I know of which can give you good-quality bellows a a very reasonable price. 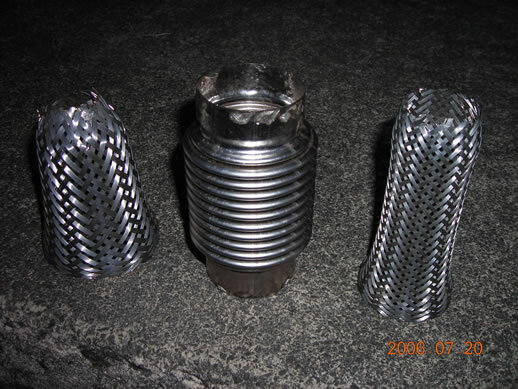 The first source are "flexi joints" intdended for car exhaust systems. These are widely available on EBay in a range of lengths and diameters. At heart, they all consist of a section of stainless bellows. Below is an example of a small one I picked up on EBay for £4.50. The bellows are surrounded by a layer of woven wire mesh on both the inside and outside. 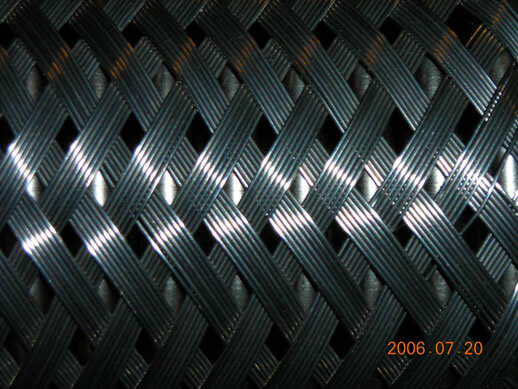 The two layers of mesh are crimped to the ends of the bellows with tubular crimps which need to be cut off. 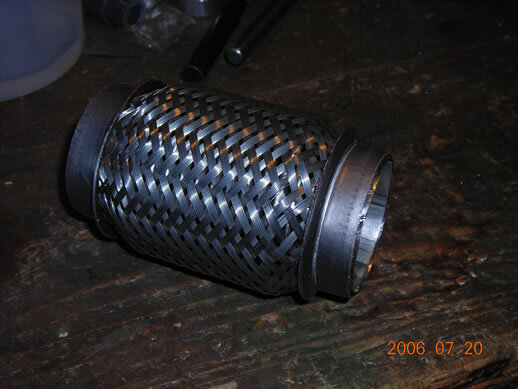 In addition, the mesh layers are spot-welded to the bellows and these need to be ground away. The layers of mesh can be slit off to reveal a nice bellows inside. There are obviously no ends on the bellows, but these can be welded on later if required. A similar bellows from Lesker (without flanged ends) cost £56 in 2006, so this is a considerable saving if you're prepared to do a little bit of work on them. These sort of bellows may be a bit large and short for most applications, but there is fortunately another source of long, thin bellows tubing. 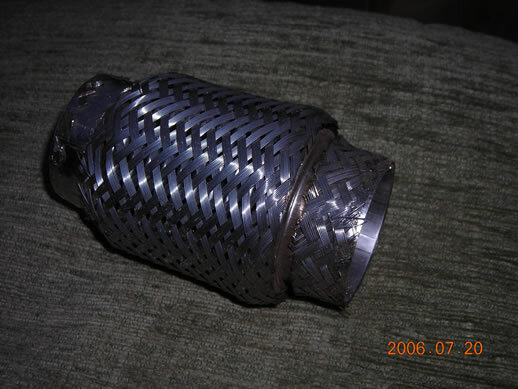 They are in the guise of convoluted hoses used for natural gas service (such as connecting a domestic gas meter to the main). They are available from the likes of BES in the UK and even come with BSP threaded fittings on the ends. These would be suitable for connecting, as an example, a roughing pump to a vacuum system. Check out the BES site or do a search for "convoluted gas hoses" or "flexible stainless steel hose" on Google.